ImageKit.io feels delightful to share this amazing achievement with our users. A reputed B2B software directory, FinancesOnline has awarded us the “Rising Star” and “Great User Experience” awards. It has recently recognized our efforts to provide clients with an unparalleled intelligent real-time image optimization for seamless and fast delivery of images. 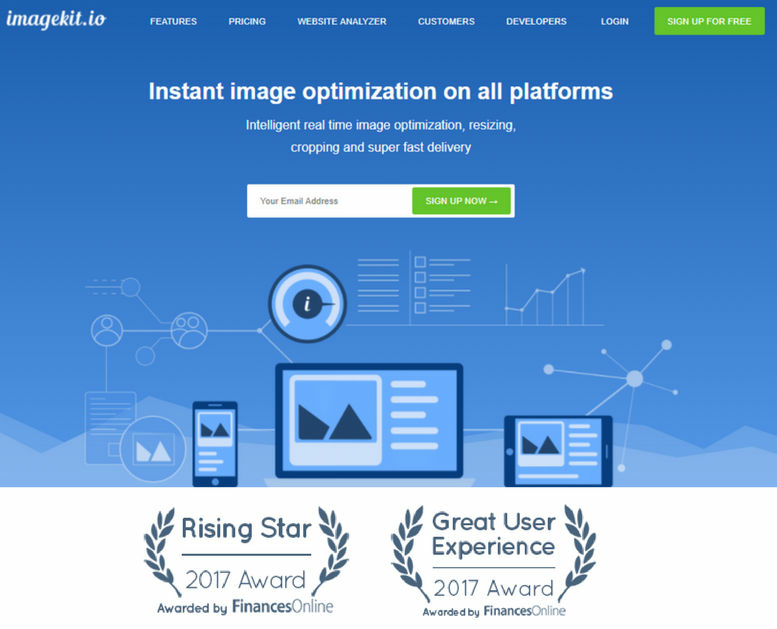 After performing an extensive review of ImageKit, FinancesOnline rated us with a positive 8.8 score. FinancesOnline is a leading review platform for B2B and SaaS solutions. It helps users to search for any B2B or SaaS solution and get the detailed insights. This platform lists the detailed product review and helps in comparing the different options. 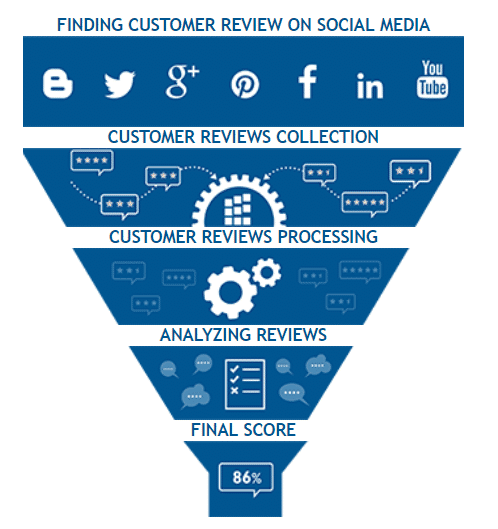 With the help of the ratings & reviews, one can select an efficient solution. In FinancesOnline’s written review, their experts have praised ImageKit’s throng of functionalities for transforming images to suit their liking — from cropping, resizing to watermarking. Their experts are impressed that ImageKit can directly perform image optimizations from the image’s URL, thus eliminating the need for downloading and storing of files. From URL based transformations, smart cropping, to Image CDN, their team has highly appreciated the valuable features ImageKit. Moreover, our product is also recommended in their what is digital asset management software guide. Based on ImageKit’s features & functionality, we have won two awards – Rising Star Award and Great User Experience Award. Rising Star Award is awarded to the new or recently launched SaaS products which are gaining popularity and solving the problems of users. ImageKit is designed with the aim of simplifying the workflow and providing the best & instant image optimization solutions without even getting into the hectic development process. It fits the criteria of FinancesOnline and thus, grabbed the Rising Star Award. 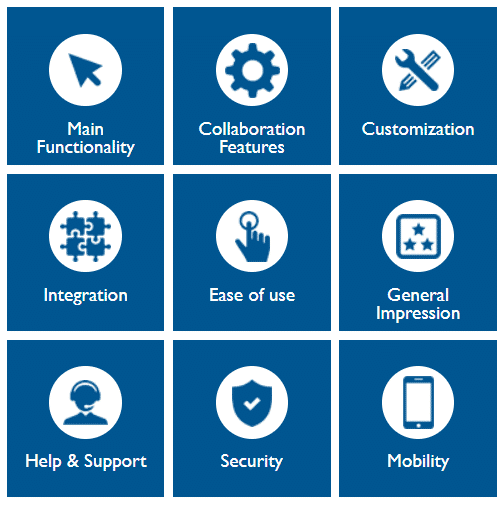 For Great User Experience certification, it is necessary to offer great user experience. The expert team of FinancesOnline evaluates how much user-friendly is the particular product. It is granted to solutions that have a robust set of functionalities while remaining user-friendly, thus leading to easily facilitation of the work process. We have got 8.8 Score and 93% score in the User Satisfaction category. FinancesOnline uses a behavior-based Customer Satisfaction Algorithm to collect user reviews, opinions, feedback from different platforms such as social media channels. And we have scored 93% in this test which is pretty good. This score helps users to make a buying choice and bring transparency in the comparison. Similarly, FinancesOnline uses its Smart Score algorithm to give a score to the listed products. It evaluates many elements of a product to test its functionality and ImageKit has secured 8.8 ratings in this test. The Smart Score algorithm checks a product for its primary functionality, collaboration features, ease of customization & integration, ease of use, support features, security, impression, and availability for different platforms. ImageKit.io has passed all these tests and grabbed these awesome certifications. ImageKit provides 10-minutes integration to other platforms be it a WordPress website, an AWS S3 bucket, a Shopify store or a Magento store. It provides instant image optimization and delivers images across all platforms with the help of its global CDN. So, try ImageKit.io for free and enjoy its robust features. Sign up now for a trial and experience an intelligent image optimization solution.